Today I had two "mom" tasks: take daughter to soccer; run to grocery store for sundry items. There is the boring way of doing these tasks… and then there is the awesome way. I chose the awesome way, naturally. After delivering said daughter, I pulled out my phone, plugged in my earbuds, and put one song on repeat: Kelly Clarkson's "Invincible." I'm a bit embarrassed to admit that I like Kelly Clarkston. Most songs seem like the musical rehash of what I must imagine were very fruitful therapy sessions. But the woman has a pair of pipes, and sometimes you just need some OOMPH, some Gospel POWAH funneling in your ears like a tidal wave and streaming through your veins. Make my toes vibrate, Kelly. Lift me off the ground. So off I went through the store, volume cranked up to the highest level, living two very different experiences on simultaneous, coexisting levels: Kelly rising up like a lioness in the wild and roaring for all the savannah to hear… and my own pedestrian hunt for brown lunch bags, aluminum foil, duct tape, and garlic. "No one hears the silent tears collecting…"You give me chills, Kelly. I know what's coming after this confession of secret pain. Aluminum foil: got it. And the duct tape was right next to it. Score. "Beat down on me, beat down like a waterfall, cuz I can take on so much more than I had ever dreamed. Beat down on me, beat down like a waterfall cuz baby I am READY TO BE FREEEEEE!" But I also need to find those brown paper bags. KAZAM! Found them. $4.99 for a 50-count bag. Next up: garlic. "Now I am INVINCIBLE, no I ain't a scared little girl no more!" Kelly, take me away. Tell me how you're invincible, how you rose above all your fears, how you grew into your womanhood and became AWESOME. Because this, on a more modest level, is my burgeoning story too. I wouldn't quite say I'm invincible, though. I'm partly still scared, but mostly coming into my own, and the scared part is shrinking day by day like an island of irrelevance. So I'm invincible and afraid— both at once, because the laws of logic do not apply to feminine psychology. Or perhaps to any psychology, if we're all really honest with ourselves. Anyway, what I love most in this song is its striding, heavy-striking pace. This is no delicate butterfly song. It belongs to a giant who takes up space, who makes the forest shake with every step. And over it all soars a voice with bona fide horsepower, yet still lovely, with tinges of vulnerability and hints of ragged edges of brokenness. Not everything broken in this life gets put together. We get to carry some of it to the end. I think part of what makes us extraordinary as a species is in the way we can carry unhealed holes in our hearts, yet still open our hands in hope. Secret lotus flowers still bloom in our palms; we still give love. Why? Maybe our hearts are made to be broken, then filled. I do think all wounds are healed on the other side, even the deepest ones that seemed to scatter the pieces of self to dark places we can no longer reach. Things fall beyond the horizon of our gaze, but we do not encompass the universe. There is something beyond us that can collect and redeem everything, even the broken, senseless fragments of lost time. Remember the story about the woman sweeping her house to find the lost coin? The coin is the part of us that never got to grow because it was buried in grief and guilt. It's the wasted years we couldn't reclaim. But not even time can escape forever. Energy is not lost, only changed… if we want to stop fleeing and let ourselves be found. Then comes the bridge: "I was running from an empty threat… of emptiness. I was running from an empty threat… that didn't exist. I was running from an empty threat… of abandonment." 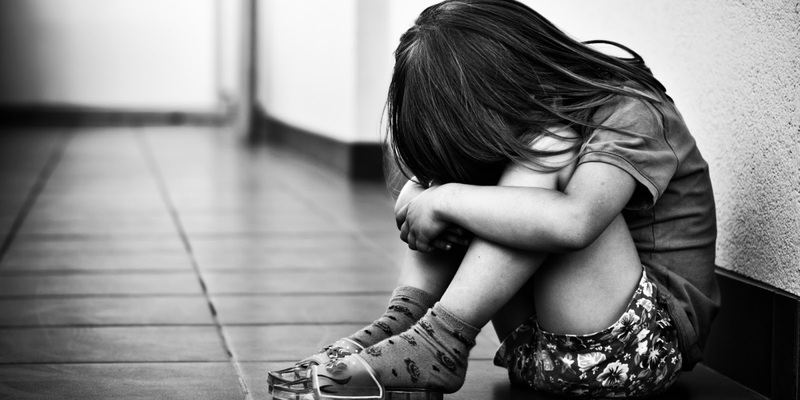 This is where I imagine her in her childhood – or any of us in our weakest, smallest moments – absorbing the lie that we are alone or abandoned, or that someone else's failings and limitations determine our worth as a human being. When the lie hits the mark, we begin to run. Fear replaces the small child's native instinct to love and expect love, although not entirely, because the yearning is unquenchable. And the great liberation is in discovering that even if we grew up in terrible circumstances, nothing can erase the fact that there is tremendous worth in us – infinite worth, even. Our worth is not dependent on what someone else saw in us. It is dependent on what is really there, even if it's still latent and not yet fully developed. Even if it got damaged and buried. We are jewels cast among the weeds. Diamonds incognito, easily mistaken for ordinary pebbles. In the dirt but not of the dirt. Fully worthy of love. At bottom, we all have the potential to be heroes. But, by a strange catch-22, we rise into our true worth only when we recognize that the worth is already there, that it was there all along. We become what we are only when we realize what we already are. And that's what I think she means when she says, "Now I am invincible." It's not that she can win every battle singlehandedly or never get hurt. None of us can, not even Wonder Woman. No, it means that no one can take away her newly discovered sense of innate worth– of value – ever again. It means the lie is exploded forever. Now she knows the truth: that her value is within, and it has always been there, that it is tremendous, and that she merits love just by being who she is. Discovering it is a liberation. No one can put her behind bars again. A realization has set her free. Some realizations come bursting in like a ravishing of fire; others grow slowly and imperceptibly, like a quiet tree. But one day, whether we got there fast or slow, we'll look at ourselves and realize that part of life is about finding, and part is about being found. And sometimes we are the ones who need to find ourselves, and let ourselves be found. But I am still at the grocery store and there is the pressing matter of the garlic. I have been roaming the produce section for a solid five minutes, hovering over the onions and feeling a small tingling of frustration. Why is the garlic not displayed with the onions? Wouldn't it be logical to display them together when they cook so well together? Sing it, Kelly. Let that Gospel chorus thunder in my ears. Let it transport me right over the bananas and overpriced berries. And a whole song later, I find her. There she is, hiding in a special section. 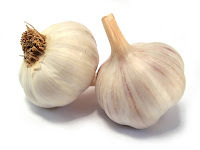 The humble, unassuming garlic, so plain and drab compared to the vivacious oranges and gleaming apples, and yet so powerfully redolent when broken open and sizzling. I found her in the last place I looked. Great post - nice song- Invincible when you're in the doldrums!